While you enjoy your margarita, get to know the artist behind this month's Frida Kahlo inspired glass. How long have you lived in Atlanta/ Surrounding Areas? I was born in the Atlanta suburbs and I moved back to the area 8 years ago. Before moving back, I lived in Savannah while getting getting my Illustration degree from SCAD. What inspired you to submit art for this project? I've always loved the art of Frida Kahlo, and I love a good margarita. Please describe your artwork. What does the piece mean to you? For this piece, I was inspired by Frida's love of traditional Mexican folk arts, especially indigenous embroidery. 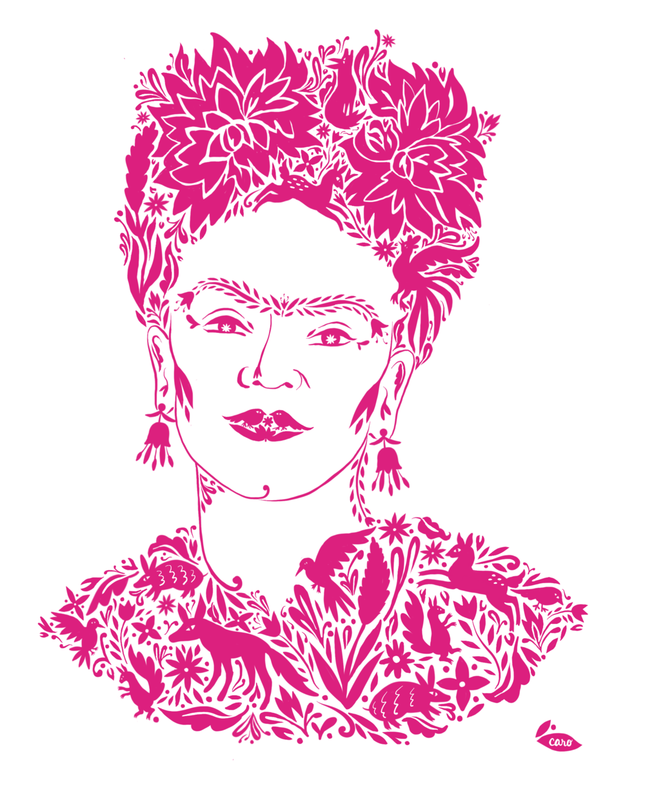 Inspired by native Otomi embroidery, I created a portrait of Frida featuring native wildlife and plant motifs. If you win, how would you spend $500 at Pure (a month of free tacos)? If I won a month of free tacos, first I would freak out, but then I would love to invite my friends for an epic Taco Tuesday! The puerco al pastor are my absolute fave, but I don't discriminate when it comes to tacos.